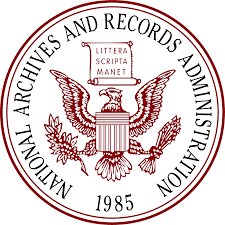 The National Archives today unsealed and released secret documents from 1974 have been named the Watergate Roadmap; it is officially the Grand Jury Report and Recommendation concerning Transmission of Evidence to the House of Representatives." it was this evidence that resulted in the resignation of President Richard Nixon. 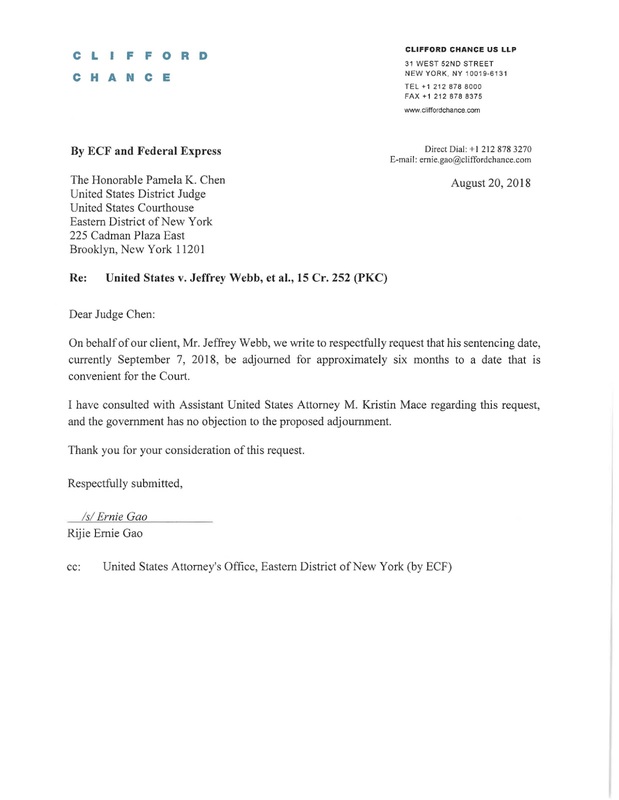 These documents may provide some insight into what is currently in progress in the Office of Special Counsel, which must ultimately file a similar report, and what will be forwarded to the House of Representatives. Readers who wish to view the Report and related documents can access the complete file here. SHOULD YOU RAISE COUNTRY RISK ON HONG KONG ? Hong Kong media is abuzz with the disclosure that the government's senior security official, Deputy Police Commissioner John Lee Ka-Chiu, in coordination with the territory's senior police chiefs, has blocked the distribution to the region's banks, of a warning about human trafficking-linked money laundering. 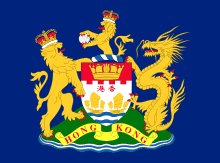 The alert, entitled Combating Human Trafficking in Hong Kong and the Asia-Pacific Region, and prepared by a special task force, was allegedly blocked because it could lead to Hong Kong being labeled as a hub for human trafficking. It appears that Hong Kong government is more concerned with suppressing negative news that could impact its financial and tourism sectors than combating money laundering. In that case, where the banks are being intentionally denied information of a critical nature, risk levels increase. Conduct your own review of Hong Kong, and make a personal assessment on whether you wish to raise Country Risk for Hong Kong, but the facts speak for themselves. 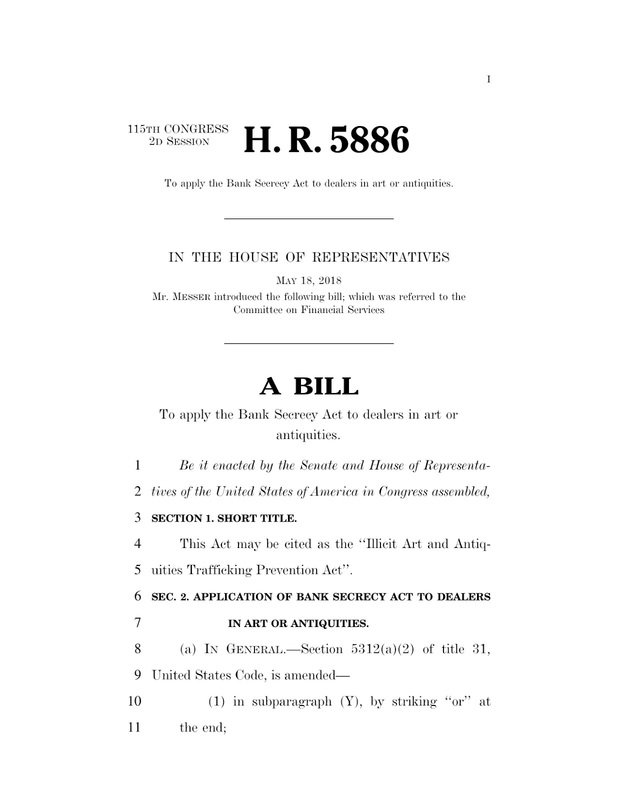 Luke Messer, an Indiana Congressman, has introduced the Illicit Art and Antiquities Trafficking Prevention Act, HR 5886. 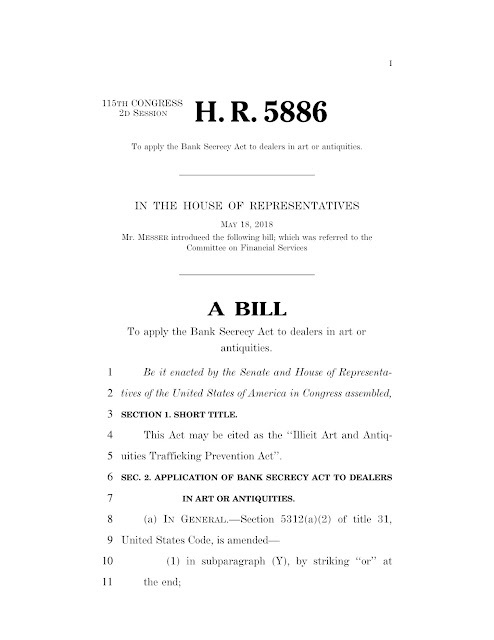 The bill adds "dealers in art and antiquities" to the Bank Secrecy Act. (1) Establish an effective BSA compliance program. (2) Establish an effective customer due diligence system and monitoring program. (3) Establish an effective Suspicious Activity Report (SAR) process. (4) Screen clients against OFAC and other sanctions list. (5) Keep records of cash purchases and file reports of cash transactions exceeding $10,000. Given that money launderers are known to purchase fine art and antiques, for the purposes of laundering the proceeds of crime of their clients, the extension of the Bank Secrecy Act to fine art and antiques is a step forward. ARE ALL THE SANCTIONS EVADERS ROGUE IRANIAN INTELLIGENCE AGENTS, AND WHAT DOES THE SPECIAL PROSECUTOR WANT WITH THEM ? It is a mystery wrapped in an enigma; Iranian oil-for-gold sanctions evaders who went rogue, stealing billions from illegal oil sales. Why are they Persons of Interest to the Office of the Special Prosecutor and where do they fit into the investigation of Russian interference with the 2016 US Presidential Election ? 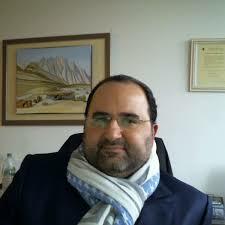 (1) Alireza Monfared, who ran the illicit Iran oil sales program from Labuan, Malaysia's island offshore tax haven, was returned to Iran, via a circuitous Havana to Moscow to Tehran route, specifically to keep him out of US airspace, where he might have been detained. He was obviously an agent of Iranian intelligence, with classified information, meaning that Iran could not risk falling into US hands. Were the others (Babak Zanjani, Reza Zarrab and other unknown partners) also intelligence agents ? 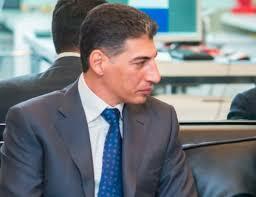 Monfared has never appeared in open court since he was brought back to Iran. Remember the case of rogue CIA Agent Edwin Wilson; greed sometimes consumes individuals placed in an supervised position, where it may be easy to illegally acquire wealth. (2) Targut Harpani, Reza Zarrab's chauffeur, who was detained in Turkey, en route to Russia, with $180m in cash, was never charged. Is Zarrab an intelligence agent ? (3) After Reza Zarrab entered a guilty plea in the Federal case in New York, he was seen by several journalists, and even photographed, enjoying dinner in New York City, in the absence of an FBI minder, or United States Deputy Marshal. he appears to be a free man, which flies in the face of longtime policies of the Department of Justice, regarding post conviction policies, which mandate custodial arrangements where the target is enjoying complete and unsupervised freedom at the moment. Is he now a CIA asset ? (4) Zarrab, who has been interviewed, at great length, since his conviction, has been repeatedly visiting with members of the Special Counsel's office, although we do not know the subject matter of those interviews. Where does the Russian Investigation intersect with Iran's oil smuggling operation ? As you can see, we have many questions, but no answers. There have been tidbits appearing, regarding sealed information and closed hearings, conducted by the office of Special Prosecutor, but to date, no hard data has been made public. Did the Zarrab syndicate launder money for individuals involved in the Russia election probe ? Perhaps, after the American elections next week, the Office of the Special Counsel will fill us in with an indictment. Who did what to whom ? Buried in the New York case, in which two nephews of Venezuelan president Nicolas Maduro's wife are charged with major narcotics crimes, is an interesting detail. Both nephews sought to evade responsibility by stating that they held diplomatic passports, and therefore, they reasoned, they had diplomatic immunity. 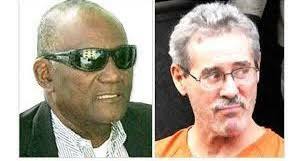 They were arrested for attempting to bring 1700 pounds of cocaine into the United States, through Haiti. The Court dismissed their claims, as neither is a bona fide diplomat, neither accredited to Venezuela's Embassy in the US, nor at the United Nations. They never presented their credentials to the US State Department, and they have no assigned diplomatic duties anywhere. Most of the members of Maduro's inner circle have diplomatic passports, to impress and intimidate customs officers when arriving abroad, often with dirty cash or financial instruments. None of them qualify as diplomats, and as you can see, they were not accepted as such for any purpose in the US. The nephews were sentenced to eighteen years in Federal Prison. The same thing happens in the UK, where arriving "diplomats" often turn out to be foreign nationals who have bought their diplomatic credentials from the leaders of East Caribbean CBI states, who supplement their income by selling diplomatic passports under the table, and hiding that fact from their constituents. Since none of these individuals qualify as diplomats under the Vienna Convention, their diplomatic passports turn out to be useless when they are arrested. 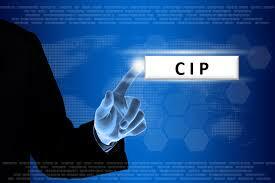 Customer Identification Procedures in the insurance field definitely need to catch up to the 21st century. Home offices at insurance companies rely solely upon driver's licenses and passports, and the only face-to-face is with a local agent, who is generally unqualified to perform any compliance function. Given the ability of white-collar criminals, due to the grounds we have covered extensively in our recent article, The Effective Use of Image Search for Customer Identification Verification to present legitimate government-issued personal photographic identification, the insurance industry can easily accept aliases as true legal names. It gets worse; in the secondary life insurance market, more commonly known as Life Settlements, investors purchase existing high face-value life insurance policies on elderly and infirm insureds, at a discount, and wait for their demise to collect. Many of these are high net worth individuals whose tax planners have named, as beneficiaries of these policies, trusts, and other anonymous entities. This means that the insurance companies, upon death, pay out to the trust alone, and never know that there was a change of beneficiary, as the purchaser simply assumes ownership of the trust or other anonymous vehicle. It is a virtually foolproof way to launder millions of dollars, because you ultimately receive a check or draft from a major insurance company, easy to deposit anywhere, even if it is in a very large amount. 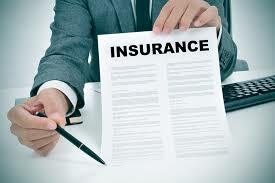 Bankers assume it is a routine life insurance payout of a close relative. Colombian narcotics traffickers, using local agents, laundered large amounts of drug cash in this manner, before US law enforcement discovered their operation. To foil this scheme, the insurance industry must verify the image of every new client, by employing a facial recognition software program to confirm his full legal name. FRS searches also often reveal additional information, which can be used to further confirm personal data, or alternatively to expose your prospective client as an insurance fraudster, or worse. His true name may be on one or more international sanctions list, such as OFAC. Unless you have accurate information, sanctions violations may occur, for which there will be consequences. All financial service industries, and non-bank financial institutions, must now similarly upgrade their compliance programs, lest they unwittingly facilitate money laundering. 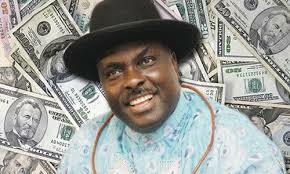 The money laundering conviction of James Ibori, who was the governor of oil-rich Delta State in Nigeria, has been affirmed by the Court of Appeals in the United Kingdom. Ibori pled guilty in 2012 to ten counts of money laundering and fraud, in a case involving a sum in excess of £50m, which was reportedly laundered in the UK. The defendant was sentenced to thirteen years of incarceration, and was released after having served one-half of the sentence. The appellant based his failed appeal upon allegations that one of the police officers assigned to the case had accepted a bribe, in exchange for inside information about the conduct of the investigation. The Court held that the bribe was unproven and even if it did occur, it was instigated by Ibori, who could not rely upon it to obtain a reversal of the conviction. The case is important as there have been repeated rumblings in the UK about the apparent ease which corrupt Nigerian Politically Exposed Persons (PEPs) have been able to launder the proceeds of corruption in Great Britain, accusing certain financial institutions in the City of Willful Blindness, due to the lucrative profits they have derived from illicit Nigerian wealth. We trust that the conviction, confirmed on appeal, will show that the UK Government is serious about suppressing Nigerian money laundering in London. As we have repeatedly demonstrated, advances in modern technology, rampant official corruption within government passport agencies and vital statistics offices, CBI passports, Photoshop, and the thriving market in stolen and counterfeit passports have all rendered the reliability of new client names appearing on a passport untrustworthy for all Customer Identification Program purposes. 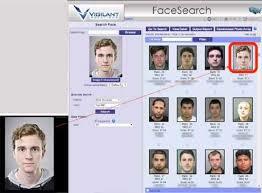 Enter facial recognition software systems (FRS) as the only effective solution. There are a large number of commercial providers of FRS platforms, but to be effective, the one you select must be much more than simply a system that accesses popular social media and social networking sites. It must also have its own proprietary in-house image database. Some of the non-public resources are acquired for that purpose. Here is a partial list of what resources typically make up an effective FRS search. 1. Passport and visa images, when obtained directly from, or through, official sources. 2. Criminal history images; generally taken from arrest records; wanted photographs, and images taken from local law enforcement records. 3. Secondary school and university photographs, taken from yearbooks, school newspapers, and school magazines. 4. Commercial images, appearing in media in hard copy and online. 5. Corporate publications and press releases. 6. Newsreel footage, documentary films, CCTV (where available) and film of private/public events. 7. Private, commercial image archives available for purchase. 8. Government images taken from archives. 9. Newspaper and magazine images. News photos, images from public and social events. 10. Civil and criminal court records that contain images. 11. Image databases of licensed professionals, government employees and corporation staff. Some of these image resources are obtained and downloaded into the FRS database, which is accessible to searchers using the FRS program; others are linked directly to the search entity, so that their archives can be checked for your target. A good facial recognition system has its own data, and access to data in the Cloud, to Public and private databases, and those available online, even if behind paywalls. Given that facial recognition software is the most effective, and trustworthy, method of confirming identity in this high tech world, it is expected to go from its current supplemental use by compliance officers, to the replacement commercial off-the-shelf databases of high-risk individuals as the primary investigative tool in the toolbox. As a follow-up to our recent article entitled Nigerian Solicitors offering European and Caribbean CBI Products raise Risk Levels for all, The Commonwealth of Dominica has been represented in Nigeria since 2014. Nigerian nationals are eligible to apply for the CBI program Dominica offers. CS Global Partners opened the office in Lagos, for Dominica, managed by attorney Tokunda Olugbenga, Tokunda Olugbenda & Co., 14th Floor Western House, 8/19 Broad Street, Lagos Island. 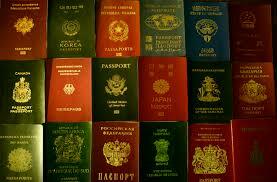 The number of Nigerian nationals holding Dominica CBI passports is not known. 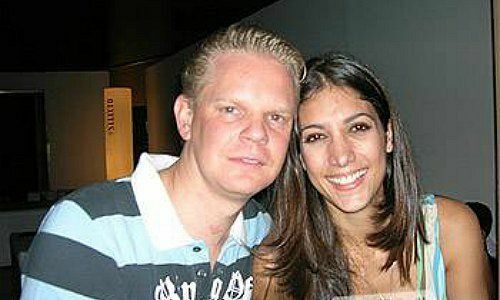 Mathias Krull, the German-Swiss banker who embezzled millions from Venezuela's petroleum cash flow, and invested the laundered profits in US real estate, was sentenced to ten years in Federal Prison for Money Laundering Conspiracy, the maximum possible sentence. 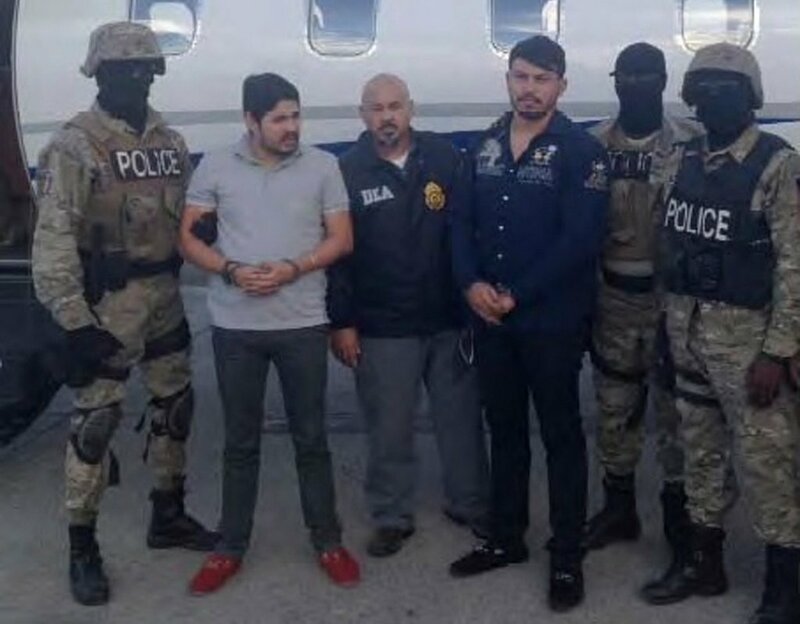 He was also ordered to forfeit $600,000, and to pay a $50,000 fine, but allowed to remain free on bond, due to this cooperation with the authorities, regarding a massive Venezuela-based money laundering syndicate. The organization in which Krull played a central role, allegedly diverted more than $1bn in oil profits from PDVSA, which went to insiders in Venezuela's corrupt government and their families. Krull will most likely receive a sentence reduction at a later date, after he has assisted the US Attorney's Office, through cooperative court testimony at trial, in obtaining convictions of several other defendants in his case, but it is doubtful that he will be able to shave his 10-year sentence by more than five years. Under current law, he must serve 85% of his sentence, and he faces certain deportation after that, as he is not a US citizen. It is a positive sign that Krull received the maximum sentence, for many defendants convicted of money laundering or money laundering conspiracy often draw shorter sentences, which do not serve as an effective deterrent. 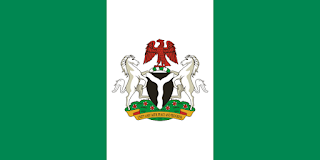 Attorneys in the Federal Republic of Nigeria are advertising the availability of Citizenship by Investment (CBI/CIP) passports to their citizens, which is troubling for a number of reasons. The rampant and uncontrolled corruption, due to the country's oil wealth, has placed the proceeds of crime in the hands of many Nigerians, whose primary goal is to exit before they are arrested, and their dirty money confiscated. Therefore, you can expect the vast majority of CBI applicants from Nigeria to be using criminal proceeds to pay for their passports, and that, in their desperation, they will be inclined to pay bribes, kickbacks, and any other type of illicit gratuity, in their quest to obtain that prized non-African passport. If you were thinking that they would be east for customs officials, and compliance officers at international banks to identify as Nigerians, two of the three CBI jurisdictions that local lawyer are promoting are located in the East Caribbean; Multilingual Nigerians, with their British-accented English, could easily pose as West Indians of African descent. To add to the problem, the three jurisdictions that the Nigerian attorneys are openly promoting, the Republic of Moldova, the Federation of St Kitts & Nevis, and St Lucia, all have shortcomings associated with their CBI programs, which increases the chances that Nigerian organized crime figures, or corrupt government officials, will be able to acquire CBI passports. 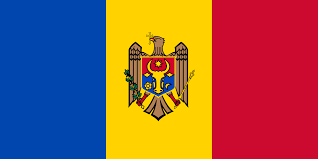 (1) Moldova, which has a long history of organized crime activity, is just now commencing its CBI program; How will its Citizenship by Investment Unit be able to competently perform due diligence upon citizens of a country where Hausa, and 520 additional languages are spoken ? Also, given the widespread corruption, how will Moldovan compliance officers be able to determine the authenticity of what are held out to be official identity documents ? 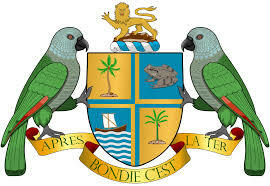 (2) St Kitts & Nevis has, notwithstanding its statements of effective due diligence and Customer Identification procedure, a history of accepting individuals who were engaged in ongoing criminal activity, which was later exposed when they were subsequently arrested. Will their CBI unit staff cull out criminals and corrupt government officials ? Past conduct indicates a negative answer. (3) St Lucia's CBI program is small and untested; its ability to vett African applicants is questionable, and when coupled with the local government's zeal in expanding the program, to vastly increase the number of applicants, there is little hope that its screening process will be adequate to interdict criminal elements, corrupt government officials, and money launderers working for rich Nigerians holding large amounts of illegally-acquired oil profits. 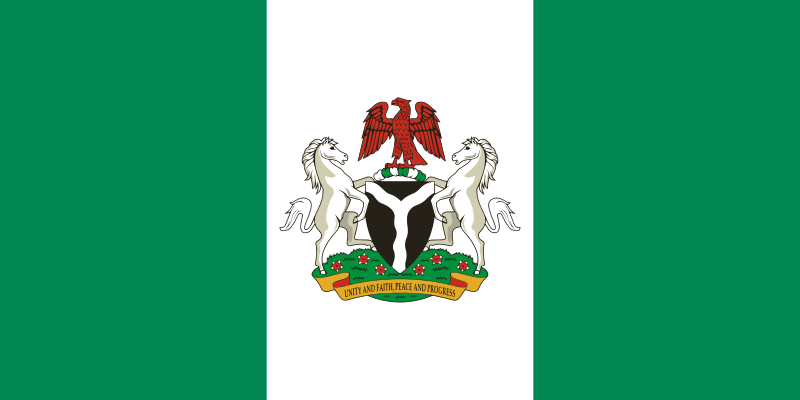 Nigeria is perhaps unique among African nations; it has vast oil income, paired with a corrupt government official class, and also boasting a large number of white-collar criminals. That is a recipe for disaster, regarding movement CBI passports, into the hands of those who should not have them. The mega-luxury Cayman Islands-registered yacht owned by fugitive Malaysian financial fraudster Low Taek Jho, more commonly known as Jho Low, has gone up for auction. 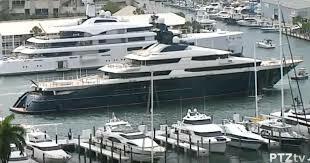 Low, who with a number of associates stole $1.7bn from the Malaysian sovereign wealth fund called 1MDB, and whose arrest is being sought by law enforcement agencies around the globe, owned the 300 ft. yacht, which is complete with a swimming pool, and can accommodate 22 guests, and a crew of 31. He purchased it for $250m. Low hold a Citizenship by Investment (CBI/CIP) passport from St Kitts and Nevis, and there have been multiple rumors that he is desperately seeking to travel there, where his extradition is extremely doubtful, given St Kitts' history of protecting its CBI passport holders. A number of dodgy Asians have acquired SKN CBI passports, and some have obtained refuge there, evading justice and the Rule of Law in the home countries. The country now has a number of individuals wanted elsewhere in residence, by virtue of their CBI passports and citizenship. St Kitts appears to have some serious problems regarding the payments CBI applicants make to acquire their passports. Opposition leaders there have reported that the Government has blocked the release of a critical IMF report on the country's economy, said to expose the failure to send CBI money to the projects that are the intended beneficiaries of the program. WILL TERRORISTS' USE OF CARIBBEAN CBI PASSPORTS PROVE FATAL TO CBI PROGRAMS ? As the European Union's Justice Commissioner, Vera Jourova, has so aptly warned, there are significant concerns that Citizenship by Investment (CBI) programs could be abused by terrorist organizations. If there is a single successful terrorist act, involving a CBI passport issued by one of the Five East Caribbean states, which uniformly have ineffective due diligence of applicants, it will spell the end of international acceptance of those passports, especially is there is loss of innocent life, or damage to a national economy. The EC country where the terrorist obtained his CBI passport could immediately be subject to sanctions, as well as negative publicity that would impact tourism and trade, which one analysis described as akin to pariah status by EU and North American governments. This might make international trade extremely difficult, compounded by the fact that the economies of the East Caribbean nations are dependent upon imports. (1) Must immediately be upgraded to enhanced due diligence (EDD), to include confirmation of identity, using social media and social networking resources, accessed through facial recognition software systems (FRS). (2) A historical look back of existing CBI passport holders, to include, but not be limited to, EDD and FRS checks of social media resources, to either confirm identity of the passport holder, or the public cancellation of his passport. If the Five East Caribbean CBI states do not choose to upgrade their due diligence, as we have detailed above, then they should not be surprised when a Specially Designated Global Terrorist (SDGT) organization obtains their passports, and uses them to commit a deadly terrorist act. The consequences could be fatal for the local economy of the offending country, and if the United States is the victim, look for a full-court direct response forthwith. Donville Inniss leaving Federal Court. A US District Court Judge in New York set the money laundering trial of a former government cabinet minister and MP in Barbados for June 24, 2019, after plea negotiations broke down. Attorneys for Donville Inniss, the former Minister of Commerce and International Business requested the extensive delay, to allow them to review what is referred to as extensive Discovery, and to line up witnesses for trial. Inniss is charged with money laundering and conspiracy to commit money laundering, he allegedly accepted bribes to direct government insurance business to a Bermuda firm, through a local insurance agent in Barbados. He has denied guilt since his arrest. The Government asserts that he laundered the bribes in the United States, through a front company. The defendant, like many former Caribbean government officials, has resided in the United States by virtue of being a lawful permanent resident ("Green Card"), but if he is convicted, he will lose that residency right, and most likely be deported after serving his prison sentence. The case reminds us that the United States, mindful that many corrupt Caribbean officials prefer to spend their post-government days in the United States, with the proceeds of corruption, is keeping a close eye upon those individuals. 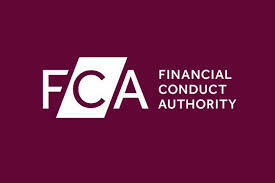 The new paper of the Financial Conduct Authority (FCA), entitled Money Laundering and Terrorist Financing Risks in the E-Money Sector can be accessed here. It was bound to happen; no sooner had the OECD issued its analysis and guidance on the risks involved in dealing with CBI and RBI passports, when CBI/RBI consultancies and advisories began their spin control. Unfortunately, all their scholarly responses miss the mark. The EU concerns about tax evasion are important, where tax revenue streams from their citizens are important for budgetary reasons, but there is a much more dangerous reason. it is all about the lack of a "detailed and intensive due diligence process" on applicants for CBI and RBI passports. We have seen, time and time again, that known financial criminals, international sanctions evaders, fraudsters, and corrupt Politically Exposed Persons (PEPs) are magically approved, where even a two-minute Google search of the international press would have revealed pending issues which completely disqualify them for such passports and identity documents. The CBI states, which have knowingly issued passports to one individual, in more than one name, have single handedly been responsible for a loss of compliance confidence in the truth and accuracy of passports names. The result is compliance officers cannot trust CBI passports, and have had to add facial recognition software systems to their Enhanced Due Diligence inquiries, to seek out the applicants' images on social media and social networking sites, to find out real names, and document it, to protect their bank from regulatory or law enforcement action for failing to conduct effective Customer Identification Programs. It is especially important now, given the recent actions to find compliance officers personally liable for avoidable errors. There is already a move to find what reforms will satisfy the OECD, so that it removes the CBI/RBI states from its "Blacklist," much as was done in the past to respond to the FATF Non-Cooperative Countries and Territories (NCCT) Blacklist. 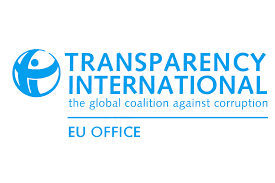 We trust neither the OECD, nor Transparency international, who has also called out the CBI states for systemic deficiencies resulting in high-risk status, will be intimidated into backing off from its findings and recommendations. We have long warned about the probability that there would be international push back if the CBI jurisdictions in the East Caribbean failed to implement needed reforms, regarding due diligence, corruption, and Conflict of Interest, but our statements were ignored. Perhaps now these issues will be taken seriously. 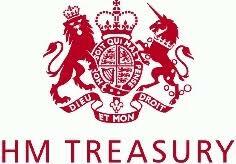 UK Compliance officers should review this HM Treasury Advisory Notice: Money Laundering and Terrorist Financing controls in higher risk jurisdictions . The Advisory includes a requirement to apply Enhanced Due Diligence for higher risk jurisdictions. The Eleventh Circuit Court of Appeals has affirmed the conviction of Mutual Benefits Corporation attorney Anthony Livoti, Jr., who was found guilty in the District Court of mail fraud, wire fraud, and money laundering, and sentenced to ten years in Federal Prison. Livoti had a central role in the Mutual Benefits Ponzi scheme, and additionally was the Trustee who held title to the life insurance policies owned by Mutual Benefits' clients, who purchased interests in what are called Life Settlements, obtained in the secondary market for life insurance policies. (1) Sufficient evidence supported Livoti's convictions. (2) The District Court did not plainly err when it permitted testimony about the civil proceeding against Mutual Benefits. (3) The District Court did not plainly err when it permitted testimony about the guilty pleas of Livoti's cohorts. (Many Mutual Benefits officers pled guilty). 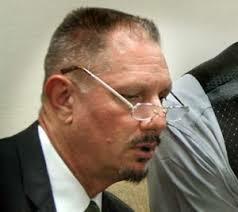 (4) The District Court did not plainly err because the Government did not bolster Lombardi's testimony. (Peter Lombardi was the president of Mutual Benefits; he was a cooperating individual at trial). (5) The District Court did not abuse its discretion when it denied Livoti's motion for a new trial, based upon juror misconduct, without an evidentiary hearing. 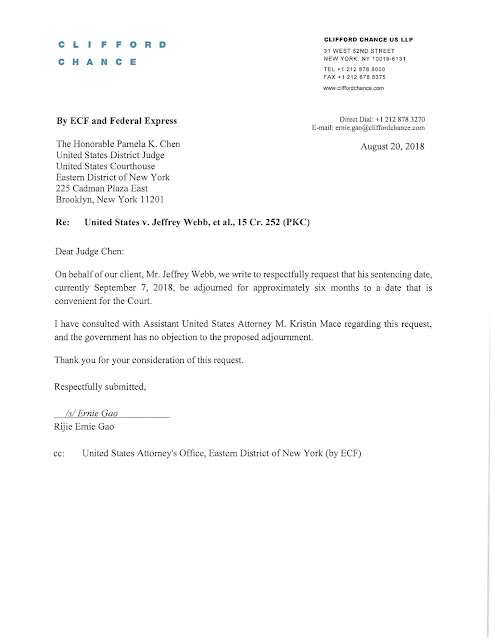 We have previously warned that any attorneys who discover that their client is engaged in a Ponzi scheme must immediately withdraw from representing that client, and are well advised to engage the services of a competent criminal defense attorney, to determine whether they have any exposure to criminal charges, and whether they should contact law enforcement. Remember the Crime or Fraud exception to the Attorney-Client Privilege applies if the criminal conduct occurring was not known to counsel. The Organization for Economic Cooperation and Development (OECD) has identified twenty-one countries and territories that it deems high risk, due to their operational CBI or RBI programs. Compliance officers should note that neither a personal appearance nor residence are generally not required to obtain a passport or residency document, which is fertile ground for identity manipulation, to conceal the true identity of the passport holder. (1) Conduct Enhanced Due Diligence investigations on all individuals from these countries and territories. (2) Verify actual legal name identity through the employment of advanced facial recognition software systems on the individuals' likeness. (3) Access social media and social networking resources, to confirm, or rule out, Politically Exposed Person (PEP) status, of the individual, as well as his or her business associates, family members and friends. Candidly, given the ability of applicants to foist counterfeit or alternative identity documents upon greedy CBI or RBI units, one must assume that names are bogus, and proceed to identify the true legal names of the individuals, using facial recognition software systems, EDD, ang social media resources. To do anything less, with any of the above countries, constitutes compliance malpractice. 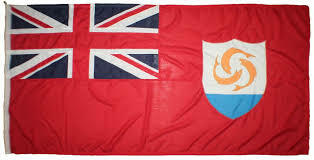 Some Anguillians are in opposition to the new Residence by Investment (RBI) program that the leaders of this British Overseas Territory are implementing, and warning of dire consequences for their island, which is a prime tourist destination, due to its famed beaches. While these individuals recognize that their country is in dire need of a major infusion of capital, they fear unintended consequences, of a negative nature, and not anticipated by local leaders, will damage their national image. 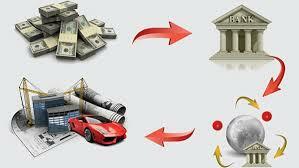 (1) The RBI program will, as it has in several of the East Caribbean CBI states, attract dirty money. Anguilla's failing indigenous banks, or successors spawned by a rush of illicit capital, might be tempted to take compliance shortcuts, and accept all of it. Will Anguilla's reputation take a hit, as has happened with Antigua and Dominica, when dodgy "investors" arrive, and are later arrested elsewhere for criminal acts. There are valid concerns that Anguilla will return to its sordid banking past, when narcotics profits swelled the coffers of local banks in the 1980s. (2) The European Union (OECD White Paper) has taken a very dim view of Residence by Investment programs in the Caribbean, for the legitimate reason that due diligence/enhanced due diligence is not being properly performed on applicants. Does Anguilla want to be lumped in with the five misbehaving CBI states, which Transparency International, in a recent analysis, suggested should lose their visa-free access to the EU ? (3) Will some of the world's CBI consultancies and "migration consultants" find a way to convert their clients' RBI status into United Kingdom citizenship, using loopholes in existing UK laws ? We cannot say, but the threat exists. This may be a way that dodgy Russian millionaires make an end run around Britain's increased scrutiny of their visits, and efforts to reside there. (4) Will bribes & kickbacks to public officials become the order of the day, corrupting local government ? We have seen what happens when corrupt leaders are in the pocket of unsavory elements in nearby Antigua; how will such an untenable situation be avoided, when criminal elements, attracted by RBI start throwing cash around. All these concerns are valid, and we question whether Anguilla's leaders adequately address them, when seeking capital for their island 's needs. US President Trump today signed the HIFPAA into law. 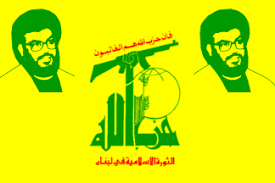 The Act targets individuals and companies that provide financial, material or technological support to Hezbollah. It also targets Hezbollah-controlled social and financial organizations. 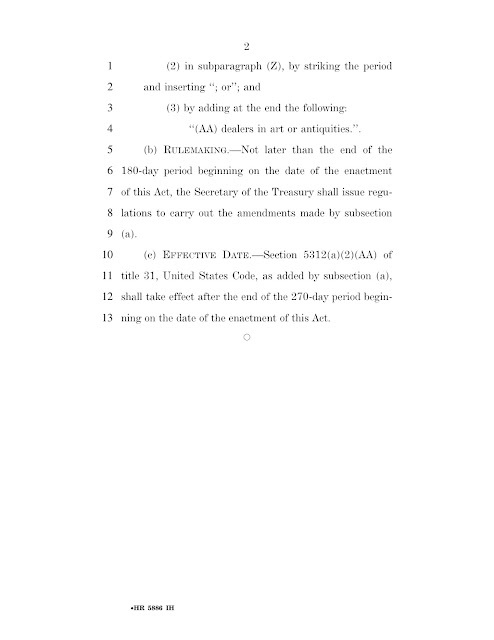 Readers who are not familiar with the provisions of HR 3329, can read the complete text here. It seems that every time you turn around, someone discovers an additional use for facial recognition software. In the State of Texas, in Williamson County, the regional animal shelter has adopted an application called "Finding Rover." 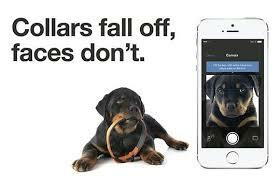 All animals that come into the shelters are photographed, and entered into the app's FRS system. Pet owners who have lost a dog or cat provide a photograph, which the shelter's FRS program seeks to match up with all pets in custody. According to the report, 28% of the lost dogs are located, and returned to their owners. This is an additional validation of the ability of facial recognition software programs to locate and identify targets, whether they have two or four legs, through their faces. Law enforcement in several countries is reportedly using FRS to locate missing persons, especially children. New private sector and law enforcement uses of FRS continue to appear in the media, and we shall report on them as the information appears. (1) Had an inadequate compliance program for required BSA/AML, by reason of an inadequate system of internal controls, and ineffective independent testing. (2) Failed to file all necessary Suspicious Activity Reports (SARs). (3) Has systemic deficiencies into transaction monitoring systems, risk management, and quality assurance programs, for its remote deposit capture services. (4) Had defective customer due diligence and enhanced due diligence policies and processes, specific to correspondent banking. Readers who wish to review the 9-page Consent Order may access the complete text here. Transparency international, in a white paper entitled Caribbean Golden Visas; Rum Deal for Europe,* has warned the European Union to cancel the current visa-free status for the five East Caribbean states that offer Citizenship by Investment (CBI/CIP) programs. 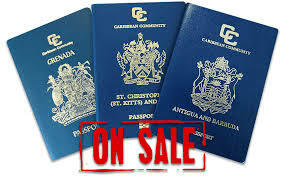 The NGO, who has consistently campaigned to eliminate opacity in international transactions, pointed out that the five east Caribbean CBI states do not publish the names of the passport holders, and conduct ineffective due diligence upon the applicants, resulting in criminals, as well as corrupt individuals, obtaining these prized international travel documents. This is a significant development, due to the fact that TI is well regarded for its efforts to expose flaws in international conduct resulting in non-transparency. The major selling point for the CBI program is that they offer visa-free entry to countries around the world, if the EU changes that policy, the value of these passports could seriously decline in the eyes of prospective applicants. The failure of the CBI states to publish the names of its applicants has been a major issue for compliance officers at international banks, who are seeking to separate CBI passports from legitimate, native passport holders. There is no legitimate reason to withhold the names of potentially high-risk individuals holding your country's passports. Coming on the heels of the EU designation (or "blacklisting") of all the East Caribbean CBI states as high-risk, principally due to their CBI programs, it appears that the international community, public and private, is moving closer to regarding these passports as possessing a clear and present danger to countries that freely accept them, and currently offer visa-free entry to their borders. Readers who wish to review the TI white paper may access the complete text below. I do not know what sort of plea deal former FIFA official (and Cayman Islands football leader) made with Federal prosecutors, but the landmark corruption trial of his co-defendants was over ten months ago, and I cannot see a reason why the three years he has been under house arrest (Home Confinement) need to go on. He should be sentenced for the crimes he pled guilty to, which include money laundering. Instead, his attorney strangely asks for and receives a further (8th) delay in his sentencing, apparently to March, 2019. We see that the US Attorney has no objection to this long delay, and wonder why. Who asks for six months, without specifying the grounds or reason therefor, and gets it ? I note that the usual boilerplate "for the ends of justice" was missing from the motion. Whether Webb, who has been enjoying his relative freedom while the other FIFA executives who accepted bribes from businessmen seeking to profit from football's free-spending fans are in prison, is working on some new case is not known, but a flat six month delay in sentencing is an indication that either something major is in the works, or Mr. Webb has learned to work the criminal justice system extremely well. Which is it ? Senior government officials of an ally of the United States have reported that their use of facial recognition software, for the purposes of identifying potential terrorists, has yielded an unexpected bonus: it also identified individuals who were foreign intelligence officers working in that country. Those individuals were operating anonymously, until the FRS system extracted their images from CCTV footage taken within the country. Of course, since foreign intelligence agents in the field have been identified, it also means that, should countries that are adversaries of the United States also be using FRS systems, they might be able to identify intelligence agents of our country and our allies, operating there. As additional applications of facial recognition software systems are discovered, we shall bring these new uses of FRS to our readers. In my opinion, the most dynamic regulatory agency in the field of anti-money laundering is the New York State Department of Financial Services, which has compiled an impressive record against violators. 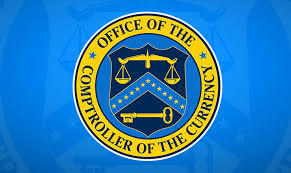 It has aggressively gone after banks whose AML/CFT programs were ineffective; now the bar will be raised further, regarding sanctions lists issued by the Office of Foreign Assets Control (OFAC). The agency wants to reduce the risk that sanctioned parties will be allowed to conduct transactions, in the world's busiest financial traffic center. Effective this year, Part 504 of NYSDFS regulations requires all financial institutions with branches or facilities within the State of New York to maintain robust transaction monitoring and sanctions screening (filtering) programs. These programs must be based upon technologies or tools for matching names and accounts. [See §504.3(b)] You may read all of Part 504 here. To match the names, we must first confirm them, with absolute and consistent accuracy, given the unforgiving nature of computer-generated searches for sanctioned individuals and entities. In a world where rampant corruption and modern technology make the purchase of a legitimate passport, containing an alias, no names on passports can be relied upon by compliance, especially in the rarified atmosphere of the New York City Financial District, where billions of dollars move in international commerce. The only effective solution is to verify client name, using an expanded Enhanced Due Diligence program, which includes confirming that the client's name is the same as the one in his passport, The passport photograph must be matched up with other available image resources, using a facial recognition software system. To be satisfied with anything less than that is, candidly, too high risk to be part of a risk-based compliance program. As more compliance officers adapt to the reality that images trump text searches, the use of facial recognition technology with become more universal. Inasmuch the State of New York now demands that your transactions and sanctions screening programs utilize the latest technology, the use of facial recognition software platforms should be regarded now as no longer optional, but mandatory. 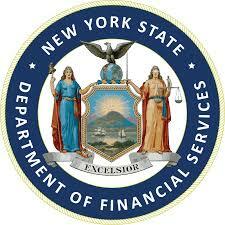 Given the "take no prisoners" history of the NYSDFS, you are best served by following its directives. 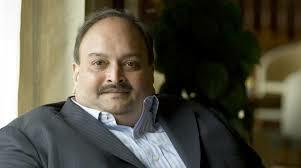 Government officials in Antigua & Barbuda have apparently embarked upon a public relations campaign, regarding unexplained delays in any movement towards extradition of the fugitive billionaire Indian fraudster, Mehul Choksi, while at the same time attempting to justify why former Antigua banking regulator, Leroy King, still remains at large after a nine year effort, by the United States, to bring him to justice in the Stanford International Bank scandal. First, Antigua officials sent the Director of Public of Prosecutions on a monthl-long holiday, right after he was designated as the primary individual responsible for the Choksi case, rather than the Attorney general. Then, he has been "reviewing" the extradition documents, with no end in sight. Anyone familiar with the law of extradition, as it is practiced in the English Common Law jurisdictions, knows that the only issue is whether the individual is the one and the same person as the one demanded in the extradition documents. No other issue may be considered. Anything else is dilatory, interposed purely for the purposes of delay. Antigua's officials obviously fail to understand the damage that its actions are inflicting upon its national image, as well as attractiveness to foreign investors, who have observed that the Rule of Law is not applied when wealthy fugitives are involved, especially when they hold CBI passports, and freely spend illicit wealth in Antigua. Moving on to Leroy King, the Director of Public Prosecutions had the temerity to suggest that allowing King's attorneys nine years to file multiple (and legally improper) appeals, claiming violations of "Constitutional rights." has cost him, and his government, any credibility. King was twice ordered extradited, but he remains free, due to his intimate first-hand knowledge of massive official corruption. India is insisting upon Choksi's extradition, and considering that it is a member, like Antigua, of the Commonwealth of Nations, the matter may take a nasty turn before it is over. If you are a compliance officer at an international bank, you are acquainted with the tactics of trade-based money laundering (TBML). For those who are not familiar with the term, it is one of the methods money launderers employ to move criminal profits across international borders, using false invoicing of import and export transactions. It is believed to constitute 50-80% of all international money laundering transactions, and it is often not understood by many financial professionals. 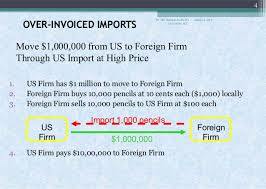 (1) Funds are moved out of a country by the under-invoicing of exports, or the over-invoicing of imports. 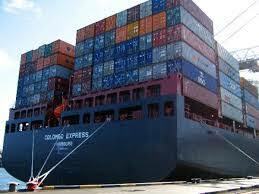 (2) Funds are moved into a country by the over-invoicing of exports, or the under-invoicing of imports. Compliance officers seeking to accurately determine whether the sales price of specific goods being exported or imported are at or near the market price often use the web-based International Price Profiling System (IPPS), offered by Professor John Zdanowicz' International Trade Alert which uses the Department of Commerce statistics of all international trade transactions. The program tells you whether your client's transaction falls within five per cent (5%) of the current market value of those goods. The company has Country, Product and Customs District Risk Profiles available to supplement your searches, during an investigation, if you are looking to spot a trend. In the event that your inquiry discloses pricing inconsistent with the current market value of the goods being traded, it is submitted that you employ social media and social networking resources, to expand your information on the individuals who you believe may be engaging in TBML through your bank. In TBML we often focus solely upon the goods, and the money, while close scrutiny of the participants may expose links and connections to still other possible TBML transactions, both current as well as historical. (1) You will want to take the photo identification you have on file, on the individuals involved in the corporation that is engaged in the suspicious ( i.e. possible TBML) transactions, and, using your facial recognition software system, search for those individuals in social media, social networking sites, and other image resources. Don't worry if your primary target is not on Facebook; the system will show you his image where it appears on sites of friends, associates, family members, clubs, and other social contacts he may have. (2) The idea is to identify their possible criminal associates and co-conspirators, partners, vendors and anyone else who is assisting your clients in this criminal operation. (4) Are your clients members of an organized crime syndicate ? Your social media search will quickly identify their social structure. if you are unsure, run the facial recognition software program on the most prominent face you find. When you have a potential trade-based money laundering transaction, digging into the backgrounds of the players will often yield critical information on other transactions, in the past, that you may have missed. Always follow up TBML hits on IPPS with social media searches on the individuals around the transaction, both direct, and remote. 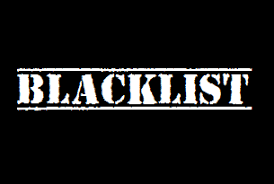 (1) That Antigua is one of the countries now on the EU OECD Blacklist, mainly due to the CBI deficiencies in due diligence of applicants. (2) That CBI jurisdictions known for corruption, money laundering, and the opaque nature of their corporation laws, as well as unregulated offshore banks, pass along to their new CBI passport holders high-risk status, which means possible inquiries upon arrival at customs and immigration kiosks in North America . (3) The lists are created by international CBI consultancies and migration specialists, who are not the objective assessors of these jurisdictions, as some only have contracts with certain CBI states, meaning that they will slant their findings in favor of those countries where they are authorized to sell CBI products. All these so-called ranking lists should be disregarded; they serve no useful purpose, other than to pass disinformation on to the applicants. The arrest of individuals, upon their arrival at airports of entry, because they were found to have multiple passports, in completely different names, is no longer a rare event. The widespread availability of additional legitimate passports, complete with alias and new identities, from a number of sources, means that compliance offices can no longer trust the name on a prospective bank customer's passport, as sufficient proof of his or her identity. 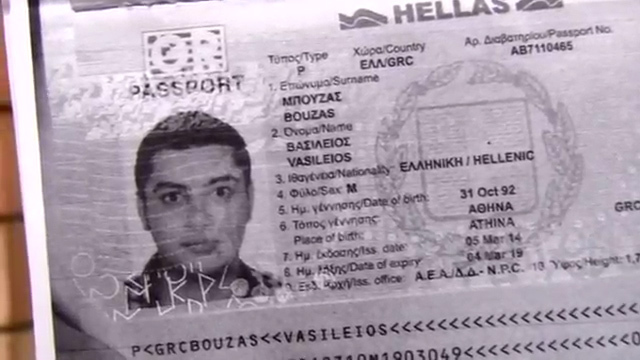 How do bad actors obtain legitimate passports under aliases ? 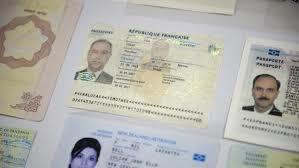 (1) Stolen blank passports, which are legitimate identity documents, are in high demand. They are usually acquired in bulk, taken from consulate, stolen while in transit, or bought from corrupt diplomatic mission employees. (2) CBI and diplomatic passports, which corrupt Caribbean and European government officials sell to financial criminals. One bad actor in particular, when arrested, had four CBI passports, all from the same jurisdiction, and all with different names on them. (3) Stolen and lost legitimate passports, which have been artfully altered, to make them suitable for sale to individuals who need alternative identities, to evade arrest, board international flights, provide material support to terrorist organizations, or to commit crimes. (4) Complete forgeries, which are crafted by individuals skilled in creating passports that contain all the anti-counterfeiting features, with bogus seals and signatures, needed to pass scrutiny at customs & immigration, and to appear legitimate to bank compliance officers requiring official photo identification documents at account opening. 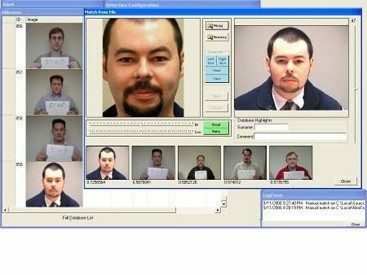 The only effective solution for compliance is to confirm the identity of your prospective client or customer is to match up their passport photograph, using a facial recognition software (FRS) that will cull through social media, social networking sites, YouTube, news footage, released CCTV footage, and other image resources that will locate your target, and either conclusively confirm his name, or expose his true identity. We simply, as compliance professionals, can no longer accept any purportedly "official" passport information as gospel, no mater how authentic the document appears. Crime and modern technology have combined to create legitimate passports with bogus identities, Only by confirmation through FRS can we reduce risk to a minimal, and therefore acceptable, level. * Please note that the US Government did not see fit to release to the press details of any of the events detailed in this paragraph. They were obtained from individuals who had first-hand knowledge as eyewitnesses. This week's money laundering sentencing, in Paris, of a former HSBC Private Bank Suisse director to only a €200,000 fine, and no prison time is disturbing, for it sends a message to other bankers who may be tempted to engage in cleaning dirty money that they might be able to escape jail, even if caught for their crimes. Nessim El Maleh, formerly of HSBC Holdings PLC, according to reports, who was involved, with his brothers, in distributing marijuana to affluent Parisians, and laundering €12m, the proceeds of those crimes, was fined and given a suspended sentence. Apparently he could not be linked to the drug trafficking his family was engaged in, their operation involving the smuggling of drugs in from Morocco. Other brother received partially suspended sentences, one received six years as the principal leader, but he was not in custody, and living in Switzerland. These sentences are insufficient to frighten anyone. In my humble opinion, these lenient sentences do not deter businessmen and bankers, who are often offered huge sums to clean criminal cash. The prospect that they could walk away with minimum con sequences may encourage legitimate businessmen to become enterprising money launderers. The problem is not limited to France; in the United States, the 20-year maximum penalty for violations of the Money Laundering Control Act of 1986 are extremely rare. Some defendants in the US, like this French case, escape imprisonment altogether, and are back on the street, albeit under Probation or Home Confinement, and able to take their specialized knowledge of the dark art of money laundering to new clients. That should not happen, either in Paris or in New York. A final note to members of the French judiciary: please, let the punishment fit the crime. Do you have hidden PEPs in your customer base ? Your client is the brother-in-law of an Ecuadorian General who receives kickbacks for ordering firearms and ammunition from a certain European arms supplier; or she is the grown daughter (therefore different last name) of a senior Haitian government official known to accept bribes from foreign contractors and vendors; or perhaps he is a Colombian businessman who has an opaque shell company that just snagged a $650m contract from the Government of Venezuela. (1) Assessed at account opening for risk; you may choose to completely decline their business. (2) Checked to verify that the anticipated account traffic matches their legitimate business operation, through an Enhanced Due Diligence investigation. (3) Subject to automatic account monitoring, to insure that suspicious or unusual account activity, or activity inconsistent with their declared trade, business or profession is immediately flagged and investigated forthwith. Decisions must quickly be made as to whether to restrict, or even close, accounts, lest you later receive subpoenas from law enforcement agencies investigating money laundering at, or through, your bank. What if an individual seeks to conceal his or her PEP status ? That is generally a good indication of their intent to abuse the account for an illegal purpose and/or engage in money laundering. 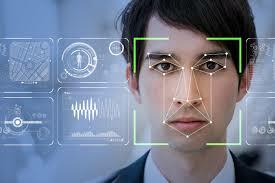 Today, compliance officers, armed with a facial recognition software system using Artificial Intelligence, are able to access social media, social networking sites, YouTube, CCTV, newsreel footage, Internet images, and many other online resources, are able to spot hidden PEPs, where they work, socialize, travel, shop, interact with government officials, and engage in activities that confirm their PEP status. Exposing hidden PEPs at account opening is now an accepted means of risk reduction on the part of compliance officers, and those working under their supervision, but there is more to be done. It is suggested that, to truly reduce client risk, that all high-volume bank customers who are foreign nationals from jurisdictions where corruption and crime are rampant, you conduct a historical look back on those existing bank clients, using your facial recognition software system to access social media resources. You may uncover evidence that some of your "private businessmen" are, in truth and in fact, PEPs who have artfully sought to conceal that fact from you and your bank. Facial recognition software systems are not only for new accounts, but to reduce risk levels on existing accounts. You may want to do this before a regulatory agency, as part of a consent order, requires you, or a third party, to conduct a historical look back, due to your AML failures. WILL THE FATF SANCTION IRAN IN 2019 ? 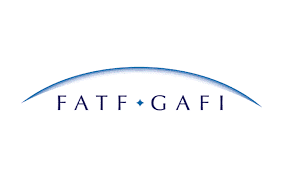 If you have reviewed the latest report from the October 17th Plenary Session of the Financial Action Task Force (FATF), you know that the FATF is quite unhappy with Iran's lack of progress regarding the full Action Plan. Although the agency has continued to suspend what it refers to as "countermeasures," it has now warned that the absence of reforms, by February 2019, will result in "further steps to protect against the risks emanating from deficiencies in Iran's AML/CFT regime." Whether that will mean a return to the legendary FATF Non-Cooperative Countries and Territories List we cannot say, but if Iran continues to flout FATF guidance, there will be some pushback. Iran would be well advised to get with the program before the specified February deadline. If you have not yet gotten around to reading the October FATF Report, you may access the complete text here. Go to Section 3, Mutual Evaluations and Follow-Up Reviews and Compliance, "Monitoring Iran's actions to address deficiencies in its AML/CFT measures." ARE YOU BANKING ANY DIRTY NICARAGUAN PEPS ?